It can be hard to feel understood when you’re living with an invisible illness. How do you explain to your friends, family and coworkers that you’re not being lazy or melodramatic, you just literally can’t get out of bed today? As a college student with lupus, Christine Miserandino struggled with that very question. 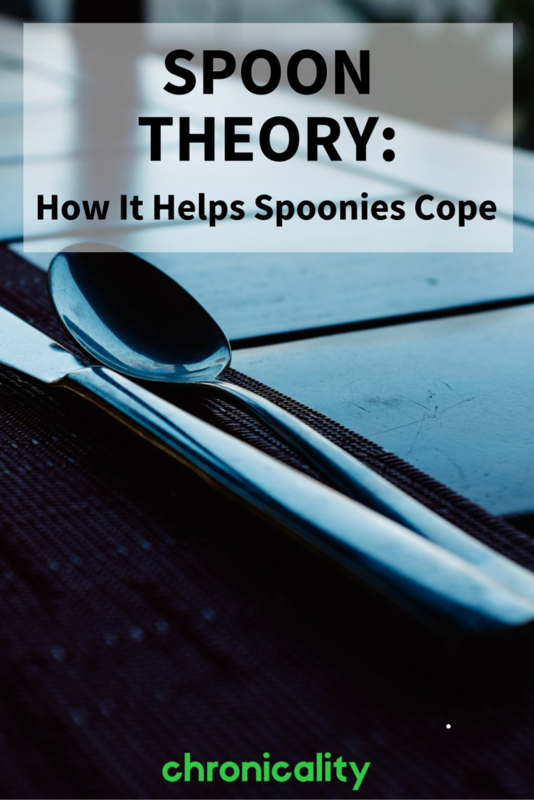 What started as a conversation with a friend in a diner has evolved into a concept famous in the online chronic illness community called the “spoon theory,” published on Miserandino’s blog in 2003. So what do spoons have to do with being sick? And how might the concept help you cope? Here, four “spoonies” share how the idea has helped them better understand what they’re going through, share how they’re feeling with their loved ones and form bonds with people who get it. Over the years, the theory has taken off, and “spoonies” have become a group of thousands of young people sharing and connecting over shared experiences on social media. (More than half a million photos have been tagged with #spoonie on Instagram.) We asked four spoonies to share what this community, and spoon theory, means to them. “Last year, when I discovered the concept of the spoon theory, it felt like I was being given words for something I’d never been able to express. Identifying as a spoonie has given me words to explain to myself, and others, why I live a more limited life, and has allowed me to connect with so many like-minded and similarly-restricted people. “The part of the spoon theory that most resonates with me is the way it depicts the control that it can feel like your illness is holding in your life. The planning that takes over your life when you have an illness and the amount of control your illness has over the planning, or the “spoons,” certainly speaks to me. How much walking can I really tolerate on this trip? Will there be bathroom access? How often? What time will this take place? Can I really stand not to eat until 3 p.m. so I don’t have a flare up? If I don’t eat, how weak will that make me? Although that seems overwhelming, the spoon theory is in fact empowering, as it reminds me that I may not have control over the amount of spoons I am working with, but I do have control over how I choose to use the ones I have. It’s not the hand you’re dealt, but how you play it. Empowering and inspiring the chronic illness community with useful, science-backed health information geared at complicated diagnoses.